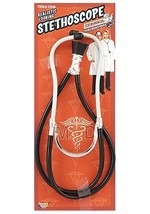 Check your heart rate and all of your friends after partying Halloween night with this Deluxe Medical Stethoscope. 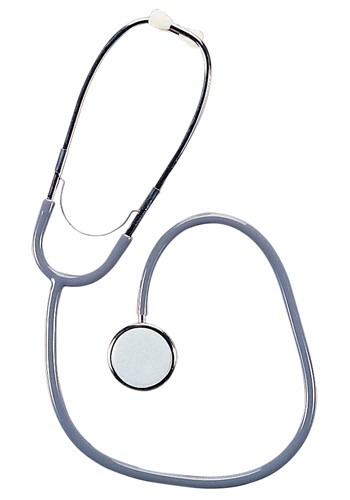 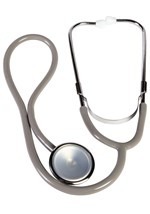 This stethoscope has a silver head frame with clear ear plugs, black tube and a silver chest piece. 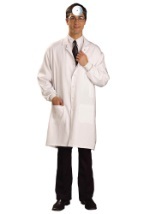 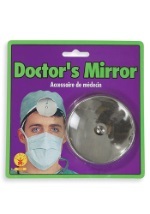 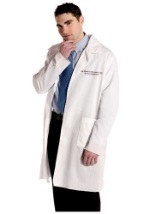 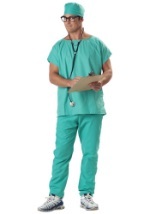 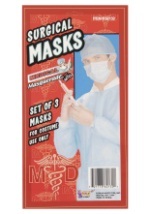 You'll be ready for medical school when you pair this accessory with any of our nurse or doctor costumes.